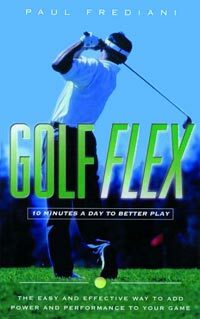 Golf Flex is a ten minute a day flexibility program designed for golfers of all ages and levels. Golf Flex's pre-game warm-up is specifically designed to warm up and target the muscles used in golf. This type of stretching is dynamic and sports-specific in nature. In addition, I have designed functional stretching that can be performed statically during your everyday living activity. Dynamic stretching for your pre-game, static stretching incorporated into your everyday tasks. Golfing: An Athletic Event or Recreational Pastime? The Hole By Hole Virtual Bookstore Review of "Golf Flex"